HATEBREED's video for the song "Looking Down The Barrel Of Today" can be seen below. Directed by David Brodsky (CANNIBAL CORPSE, WHITECHAPEL, ALL THAT REMAINS) the performance piece was shot earlier this month at the band's rehearsal space in Connecticut. 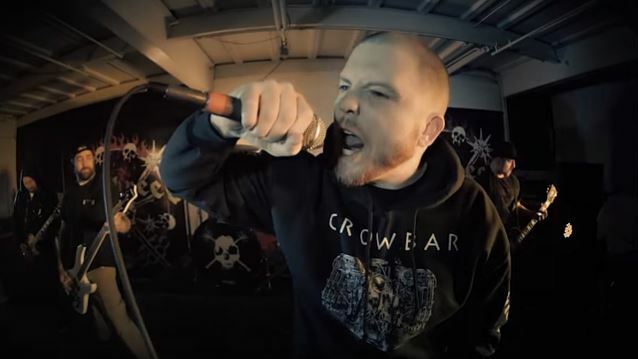 The video opens with the preface "Welcome To Two Minutes And Forty-Seven Seconds With Hatebreed," and includes special text throughout that was written by vocalist Jamey Jasta as a message of keeping a positive mental attitude. 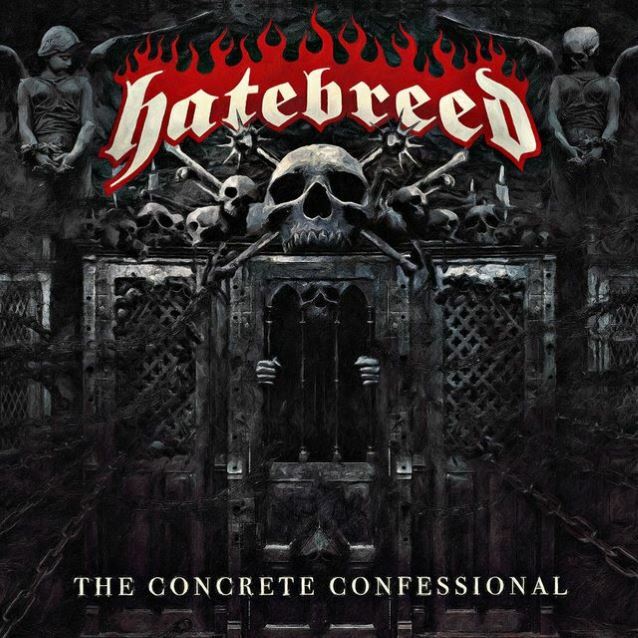 "Looking Down The Barrel Of Today" is now available at iTunes as an "instant-grat track" when placing a pre-order for HATEBREED's new album, "The Concrete Confessional". "The Concrete Confessional" will be released on May 13 via Nuclear Blast Entertainment. 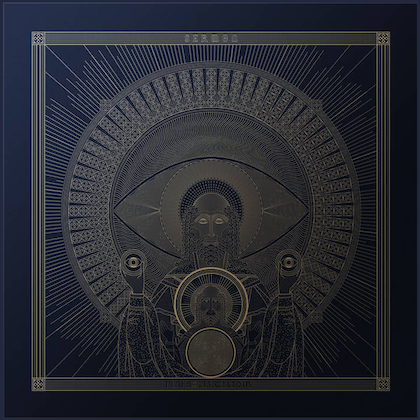 The follow-up to 2013's "The Divinity Of Purpose" was produced by longtime collaborator Chris "Zeuss" Harris (ROB ZOMBIE, SUICIDE SILENCE, WHITECHAPEL) and mixed by Josh Wilbur (LAMB OF GOD, MEGADETH). 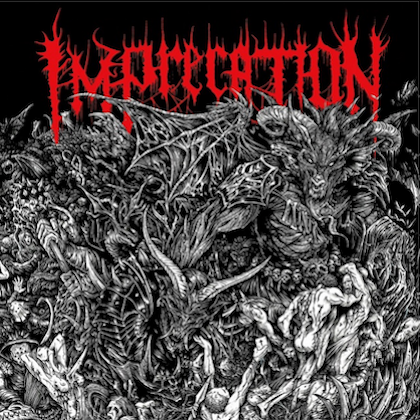 The artwork was created by Marcelo Vasco (SLAYER). A number of tracks provide a pragmatic look at issues that have become front-and-center in today's New Normal, and the track "A.D." is a case in point. Reflecting what is today a challenging time, it's a song that fuses together frustration with torrential thrashed-out guitars, double bass drums, and Jamey Jasta's immortal growl. "'A.D.' was a way that I could voice my frustration about the loss of opportunities available to the average guy," said Jasta. "With the government and big business drowning in corruption and greed, the average person is being squeezed, so achieving the American Dream is becoming less and less real. "We all need to pay closer attention to what our elected leaders are doing," Jasta added. "Start locally, in your own community, make your representatives accountable." Regarding the "The Concrete Confessional" artwork, Jasta said: "I think da Vinci said it best when he said painting is poetry that is seen rather than felt, and poetry is painting that is felt rather than seen. Marcelo was able to capture a feeling that will accompany our musical and lyrical vision and he put together a striking piece that speaks volumes." HATEBREED — vocalist Jamey Jasta, guitarists Wayne Lozinak and Frank Novinec, bassist Chris Beattie and Matt Byrne on drums — has just kicked off a 14-date European tour and will begin this project's first North American run on May 13 in Cleveland, Ohio.